October 29, 2011 September 9, 2018 mprnairLeave a Comment on Srimad Narayaneeyam, a little introduction. Srimad Narayaneeyam, a little introduction. The story goes that one day lord Vishnu gave Brahma Dev an image of Narayana. The image was made of a very rare material called Pathala Anjana Sila. Lord Brahma gave it to Sage Sutapas. The Sage handed it over to Kasyapa Prajapati. He gave it to Srimad Vasudev, the father of Sree Krishna. Sree Krishna got it from His father and it was installed and worshipped at Dwaraka. Just before Swargarohana, at the end of Dwapara Yuga, Lord Krishna told His minister and devotee, Srimad Udhava, that this image would come floating in the sea that would engulf Dwaraka. Srimad Udhava was instructed to request Brihaspati, the Deva Guru, to install the image at a suitable place so that it would help the spiritual uplift and salvation of people suffering from the adverse effects of the coming Kaliyuga. Accordingly, Deava Guru Brihaspati collected this Divine Image and along with Vayu, the Wind-God, went all around the world to select a suitable spot. Finally, at the direction of Lord Siva, installed it at a place twenty five kilometers to the North-West of Trissur, in Kerala State in India. Since Guru and Vayu installed the image together, the place came to be known as Guruvayoor. According to the story told in the ‘Guruvayupura Mahatmyam’, this Temple of Guruvayoor had thus its origin in the beginning of Kaliyuga, that is about 5, 100 years ago. King Janamejaya, the son of King Pareekshit, the grandson of Pandavas, was afflicted by leprosy, as a result of the curse of serpents. It is said that that he got his disease cured after long years of worship of the Lord of Guruvayoor as advised by Sage Atreya. Later, a Pandya King built a good temple for the Lord of Guruvayoor, as he escaped from a snake-bite as foretold by Astrologers during his pilgrimage to Guruvayoor. Historically, the temple dates back only from the 17th century, by which time the temple came into great prominence. The glory of the temple of Guruvayoor came into more lime light mainly due to five great saintly devotees. These five devotees, who lived in the 16th or 17th century, were Vilwamangalam Swamiyar, Kurooramma, Poonthanam Namboodiri, Mana Vikrama Raja and Melppathoor Narayana Bhattathiri. Panamaram, Manjula etc., were also there to add their own share to the saturated devotion at Guruvayoor. Of all these, Melppathoor Narayana Bhattathiri , born in Melppathoor Illam situated on the east of Chandanakkavu Temple near Ponnani in Malappuram District, 450 years ago, in the year 1560 C E (Malayalam Year-735), by his great and scholarly poetical hymn, the NARAYANEEYAM, and his miraculous recovery from a crippling paralysis , has immortalized the temple of Guruvayoor. He was the second son of Mathrudathan Bhattathiri, a great scholar and priest. The father taught him Mimamsa and various other Sasthras. His elder brother Damodaran taught him Logic or Tarka Sasthra. He also learned Vedas, Astronomy, Maths etc., from one Madhavacharya. 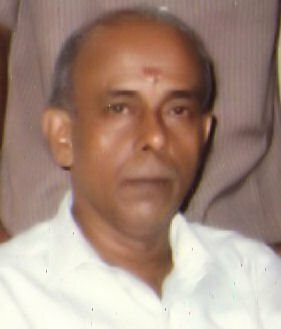 He married around the age of 20, the niece of Trikandiyoor Achutha Pisharodi, a celebrated Grammarian. The young Narayana, after marriage lead a profligate life of sensual enjoyment for some time. There shines in grandeur, in the temple of Guruvayoor, the Lord, in truth and in reality, in the form of joy of ecstasy and jnana. It appears at first as a mere image, but on contemplation reveals itself to be the condensed essence of Consciousness- the Supreme Brahman, the ‘Sakshal Parabrahma”. HE is the ultimate end of all human endeavors. HE is non-comparable, ever beyond the limitations of time, space and measure. HE is extremely free from Maya, and whose nature, the numerous texts of Vedas seek to reveal. HE is the source of liberation through Purusharthas, to seekers. Wonderful indeed, is the fortune of mankind (to visit HIM at Guruvayoor)- ‘Hantha Bhagyam Janananm’. The last 3 words of the first verse, ‘Hantha- Bhagyam- Jananam’, are immortalized since they are inscribed at the entrance of the Shrine and we can see them there even now. All the remaining verses, one by one, are equally or even more beautiful. It may be noted with the deepest indebtedness in this context that while 330 billions of gods (muppathimukkodi devathakal) are waiting in queue in Vaikuntam, the original colorful abode of the Lord, to have a glimpse of a His Darshan for a moment, we can have it here at Guruvayoor, lavishly in abundance for hours together, if you want even almost always. Even the gods feel jealous of us. It is really, ‘Hantha Bhagyam Jananam’!!!! . We are lucky. Since it is the original Image that is kept in Guruvayoor, Guruvayoor is famed as ‘Bhooloka Vaikuntam’. Narayaneeyam is his masterpiece. It is like a condensed form of famous Bhagavatha Purana. The subject matter of the extensive Bhagavatha is summarized and re-cast in Narayaneeyam, in his original, inimitable and elegant style. Srimad Bhagavatham carries 18, 000 verses, but they are condensed to 1036 verses in Narayaneeyam, divided into 100 dasakas in 12 Catos. Each dasakam carries approximately of 10 slokas. Both as a poem (kavya) and as a devotional hymn, Narayaneeyam occupies a very high and top place in Sanskrit literature. Unlike other hymns, it also exposes more great truths of Vedanta. It is a rare literary masterpiece in Sanskrit, using as many as 18 meters, and poetic devices for creating sound effects through Anuprasa, Yamaka, different allegories etc., and also using effective figures of speech, puns, witticisms and the like. ‘Kaliyamarddanam’, ‘Rasacreeda’ etc., are some of the examples of his marvelous pieces of poetic beauty. It is also a rare hymn of devotion, probably the longest hymn in Sanskrit. As a literary piece it is pre-eminent. As a unique hymn, saturated with Divine Bhakthi, it is unparalleled. In addition to being a devotional work, Srimannarayaneyam contains the gist of all Upanishads and is therefore a work of great significance from the Vedantic point of view also. He has transformed sublime philosophy into scintillating poetry. We cannot imagine the audacity of a young man in his twenties, attempting a summary of Devarshi Vyasa’s Srimad Bhagavatham in Sanskrit hymns, with such a literary beauty, devotional content, and Vedantic insight. I see before me with my mortal eyes, a bluish radiance excelling the beauty of kayampoo flowers. It is like a most attractive ‘teja punjam’-radiant light; I feel like bathed in nectar or amrt. In the midst of that radiating luster, I see the Divya Tejas of a child, a budding youth, with resplendent beauty and grace. I feel really astonished and wondered to see His ornamented and most beautiful ‘anga-prathyangas’. I also witness Naradadi Rishis, (1008) Upanishads in the form of Apsarasses, around His ‘Prabha Mandalam’. Until that time he was appealing to the Lord at the end of every verse to cure his disease. After the wonderful Darshan, he forgot that request throughout the slokas in the last and the 100th Dasaka, not knowing himself that he was free from the incurable disease and was hale and healthy. He submitted his precious gift of Narayaneeyam, at the Lotus Feet of the Lord, in November 1586 (28th Vrischikam 762, Sunday, Malayalam Year), as denoted by the kaliyuga samkhya word, ‘ayurarogyasoukhyam’, seen as the last word in the last sloka of Narayaneeyam, at the young age of 27. In commemoration of this great event, we celebrate ever since gratefully, 28th Vrischikam of every year as ‘Narayaneeyam Day’. Somehow or other, the book reached readers’ accessibility only in the year AD 1851. It is believed that he lived a healthy life at the ripe old age of 106 and wrote many more Sanskrit works on Grammar and Devotional hymns and acclaimed by many Scholars as ‘Abhinava VedaVyasa’. Some historians affirm that he must have lived at least up to the age of 86. The immortal composition Narayaneeyam is so named for two reasons, as mentioned by the poet himself in the last verse of the last dasaka. First, it is due to glorifying Lord Narayana, and secondly it is composed by Narayana Bhattathiri. Unlike in Vyasa Maha Bhagavatham, here the poet himself is the speaker, who sings before Lord Guruvayoorappan, in a sublime tune about His glories and prays to Him, in person. It is unique that in a temple within our reach, witnessed by hundreds of people like us, Bhagavan cured an incurable disease of His devout Bhaktha. This proves that He is Immanent and Omni Powerful. The temple is full of saturated Divine Power. It is no wonder that every day Bhakthas are getting new experiences from there. Hearing the ‘Parayana’ or reading of Narayaneeyam is also believed to possess the wonderful power of healing of illness, both mental and physical, of Devotees. The ‘Nithya Parayana’ of Narayaneeyam is supposed to give ‘ayurarogya soukhyam’ to its listeners. Dedicated to the ardent service at the Lotus Feet of Narayana, the presiding Deity of Guruvayur, Brahmasri Melppathoor Narayan bhattathiri, who gave the world this great devotional Hymn, ‘Srimad Narayaneeyam’ is really a ‘Maha Purush’. His devotion is unshakable. He is affectionate to his fellow beings. He wants to reveal to them, the greatness and superiority of his self-chosen path of Devotion to the Lord, so that they are also encouraged to adopt the same path for God-Realization. Inspired by an incessant flow devotion to the Lord, the poet’s thoughts and feelings find eloquent expression in theses holy verses in praise of His Sportive Incarnations, aswell. Narayaneeyam is truly an outstanding monument to Bhattathiri’s deep insight in Vedanta. Narayaneeyam has been translated into different languages , including Tamil. Narayaneeya Sapthaham, like Bhagavatha Sapthaham, is conducted in Guruvayoor Temple by Devaswom invariably on every Narayaneeyam Day. Devotees also arrange to conduct Sapthaham and many other poojas based on Narayaneeyam, as offerings to God. In certain other temples and in many houses, they are used to conduct ‘Narayaneeya Parayanam’ in different places on several occasions. Besides being a general prayer, it also works in certain places as a panacea for all ailments mostly with impairment or loss of motor functions of nerves. Innumerable devotees flock at the Guruvayoor Temple and offer worship to the Lord, reciting this hymn of prayer in the firm hope, belief, and trust that they would be cured of all their ailments. ‘Narayaneeya Archana’ or even ‘Kesadipadavarna Archana’ is supposed to be a panacea for rheumatism. The increase in the number of devotees, day by day, in hundreds of thousands, in Guruvayoor, is clear evidence that Bhagavan answers their prayers favorably in time. HE will never leave His Bhakthas in trouble, who resort to ‘Sharanagathy’.